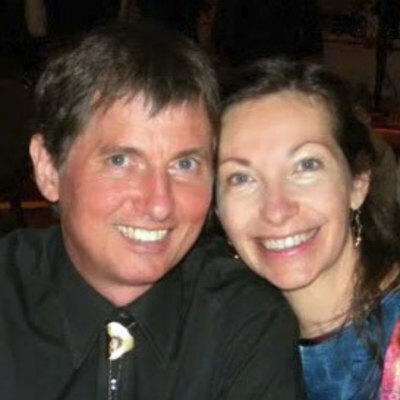 Karin and Zenon (flute/piano) offer a wide variety of musical styles to enhance your special event. KnZ are perfectly suited for more intimate settings although they have also played in large spaces such as churches and auditoriums. Z says, "Our desire is to deliver exceptionally performed musical selections in a professional manner. We play music from all eras with an emphasis on the Jazz, Baroque and Classical repertoire. If time allows we will learn and arrange a special piece of music for your event. We will continue to update our samples so come back often to see and hear what we've done." With many years of musical experience between them, Karin and Zenon are sure to make any event all the more enjoyable and memorable. We can also fulfill your desire if all you need is a solo piano for your event. Karin grew up in a musical household. She took up the flute at the age of 9 studying Classical music into high school with Mr. Aims of the Philadelphia Orchestra continuing through the first two years of college. Her biggest early influence came from her father who played by ear. This early training to 'get off the page' put her on the path to explore improvisation and jazz. 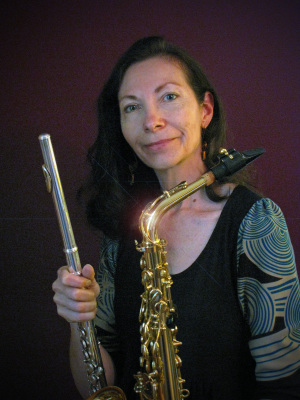 In 2000, Karin took up the Alto Sax and loves the versatility it gives her in playing jazz music. She loves the style of Cannonball Adderley and Joshua Redman and has been strongly influenced by bands like Gene Harris and Bill Bruford's Earthworks. As a youngster Zenon played the accordion, violin, bassoon, and the usual rock set of guitars but his longest lasting love has been for the piano. 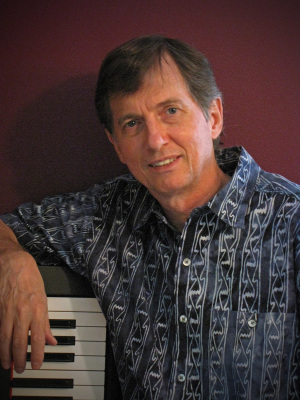 Today he plays mostly piano and other electronic keys as needed. .
Zenon studied music composition with William Bolcom and William Albright at the University of Michigan. His original music was recently high-lighted on WAMU's Capitol Soundtrack program. Together with Karin, they create a beautiful blend of harmonies and deliver a wonderful backdrop to any wedding or corporate event.